With the broad range of technical and industry experience, personnel at MAC are involved in a wide variety of projects and services for our clients. Our commitmint to safety, quality, and continuous improvement ensure that we provied the best and most cost effective solutions possible to our clients. Our in-house experience spans the spectrum of engineering disciplines including Mechanical, Civil, and Electrical Engineering. Our service covers all stages of the project cycle from feasibility studies to FEED, detailed engineering and design, construction, commissioning and finally to handover and project close out. Continuing education and professional development activities to further enhance employee qualifications. Technical expertise and project execution methods that take into account budget, schedule and quality objectives. The overall objective is to deliver safe, reliable and efficient outcomes for our client's operations and systems. While maintaining engineering excellence we stay focused on the business objectives of our clients and their projects. Where necessary and appropriate, we will reassess the technical solutions to ensure the business objectives are also met. Regimented project reporting and project management ensure the ongoing visibility of the business objectives. The staff and project resources are supported by ongoing mentoring and direct support from the owners and management of MAC Engineering. Even on projects where the client only requires one individual, a senior staff member will be assigned to monitor and mentor that one individual. The team approach described below further contributes to the development of our personnel. During the course of our work and at the completion of a project, we provide extensive and detailed documentation as part of our design deliverables. 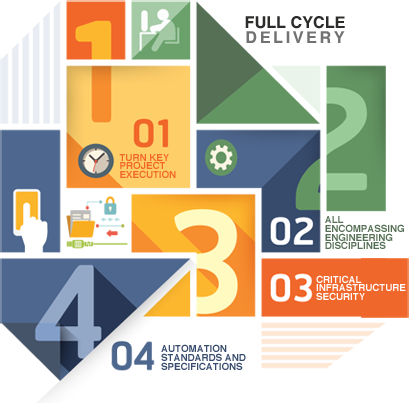 This provides our clients with easy reference to the state of their systems and facilities. Each client and project is unique. Thus, every project or assignment begins with a comprehensive understanding of the client's business and technical objectives. We scope the requirements thoroughly and provide services and solutions to meet the objectives. At MAC, we are customer-oriented and talented problem-solvers who think beyond just the immediate project. Our primary focus is on establishment of key, long term client relationships. Establishing long-term client relations for collaborative and consistent delivery of engineering services. To contribute to our client's business and technical objectives with engineering and project execution excellence. Providing a team of dynamic, skilled, empowered, motivated and dedicated personnel to contribute to the business and technical objectives of our clients. To learn more about how we implement these philosophies, please see our guiding principles section below. Empowering our personnel to deliver business and technical solutions to our clients and to foster positive relationships with our clients.